This handy guide covers all of Numbers for iOS, Apple's chart-topping spreadsheet app tuned to work with your iPad, iPhone, and iPod touch. If you're coming from Numbers for Mac or Microsoft Excel, you'll find all the steps needed to transfer your spreadsheets and make a painless transition from point-and-click to tap-and-drag. 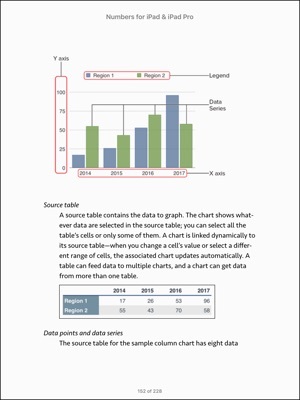 • Use just your fingers to create spreadsheets with tables, charts, graphics, and media. 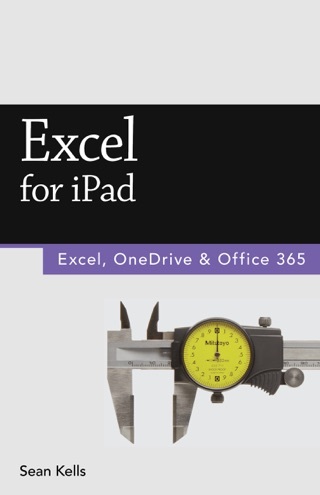 • Create spreadsheets based on Apple's professionally designed templates or your own custom templates. • Store spreadsheets in iCloud or third-party cloud locations such as Dropbox or Google Drive. 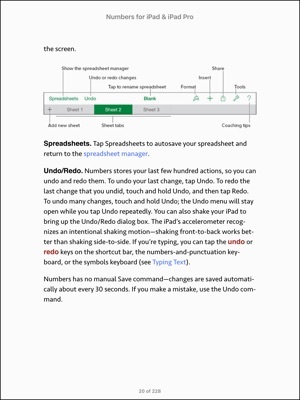 • Use Handoff to pass spreadsheets seamlessly between your Mac, iPhone, iPad, and iPod touch. 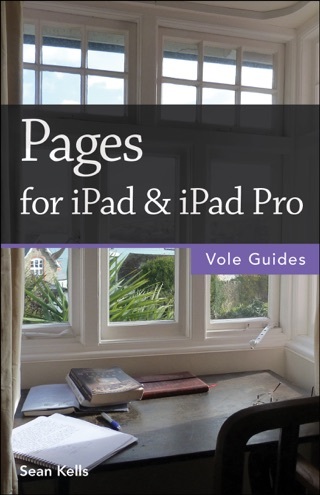 • View or restore earlier versions of your spreadsheets. • Organize your spreadsheets into folders. • Restrict access to your spreadsheets by password-protecting them. • Add multiple sheets and tables to your spreadsheets. • Print spreadsheets wirelessly from an AirPrint-capable printer. 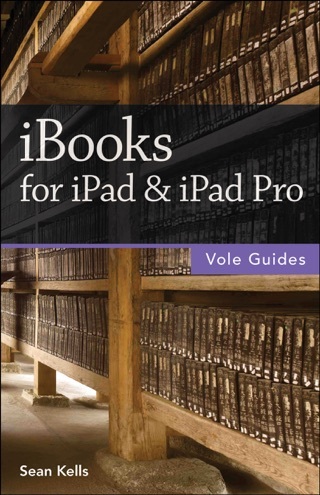 • Edit and format cells and use the built-in editing tools. • Enter data with sliders, steppers, pop-up menus, checkboxes, star ratings, and intelligent keyboards. • Add comments and highlights to your work. 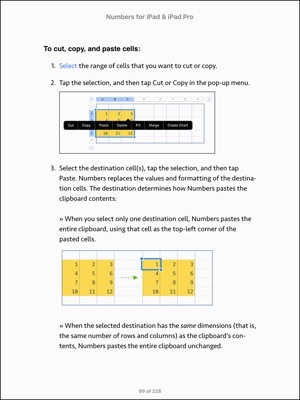 • Cut, copy, paste, merge, fill, and sort cells. • Use forms to edit lists easily. 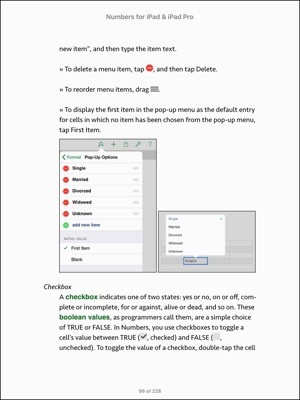 • Enter, copy, move, and troubleshoot formulas. 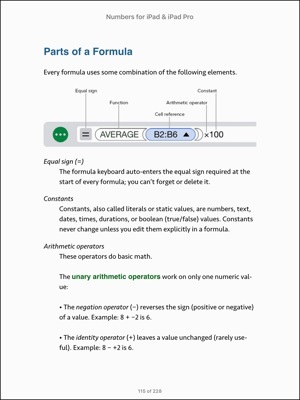 • Choose from more than 250 built-in functions and operators to build formulas. • Chart your data to reveal trends and relationships. • Embellish your spreadsheets with photos, videos, text boxes, arrows, lines, and shapes. 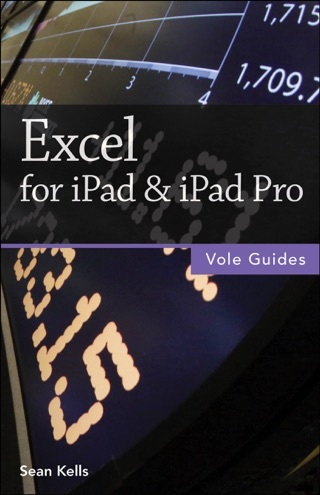 • Export Numbers, Excel, PDF, or CSV files. • Import Numbers, Excel, or CSV files. 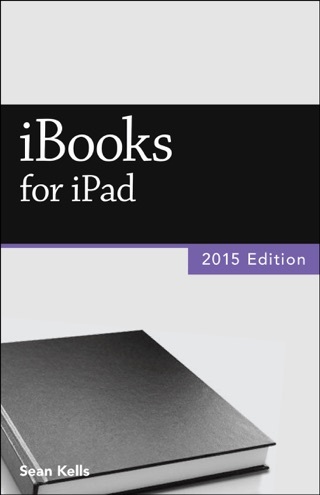 • Send copies of spreadsheets via email, Messages, or AirDrop. • Transfer spreadsheets via remote server. • Use iCloud to store, share, sync, or collaborate on spreadsheets online. Sean Kells is a human-interface designer based in Seattle, Washington. When he's not pushing pixels, Sean paints foreboding seascapes, plays backgammon for blood, and takes his dog surfing. 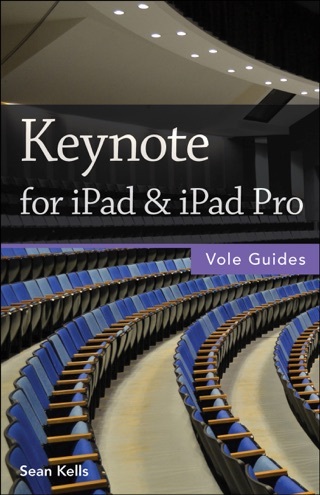 Sean has written guides to Numbers, Pages, Keynote, iBooks, and Excel. I learned how to use spreadsheets in the mid-eighties using QuatroPro, and later Excel on PCs. When I first tried Numbers, I was seriously frustrated as it didn't work as expected, that is, I thought it would be just like those other programs. Numbers isn't, it is much better. But since it works so much differently, I needed a guide. 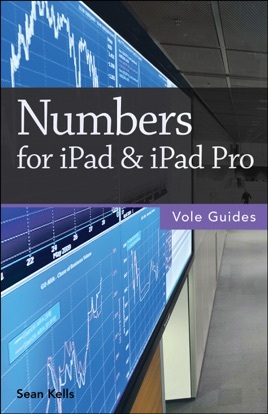 This book is comprehensive, concise, and clear, with plenty of good examples on how use the iPad Numbers app fully. Well worth the price.